Rise up in splendor, Jerusalem! Your light has come, the glory of the Lord shines upon you. See, darkness covers the earth, and thick clouds cover the peoples; but upon you the LORD shines, and over you appears his glory. Nations shall walk by your light, and kings by your shining radiance. Raise your eyes and look about; they all gather and come to you: your sons come from afar, and your daughters in the arms of their nurses. Then you shall be radiant at what you see, your heart shall throb and overflow, for the riches of the sea shall be emptied out before you, the wealth of nations shall be brought to you. Caravans of camels shall fill you, dromedaries from Midian and Ephah; all from Sheba shall come bearing gold and frankincense, and proclaiming the praises of the LORD. Responsorial Psalm Ps 72:1-2, 7-8, 10-11, 12-13. R. (cf. 11) Lord, every nation on earth will adore you. and your afflicted ones with judgment. R. Lord, every nation on earth will adore you. and profound peace, till the moon be no more. and from the River to the ends of the earth. the kings of Arabia and Seba shall bring tribute. all nations shall serve him. and the afflicted when he has no one to help him. the lives of the poor he shall save. Brothers and sisters: You have heard of the stewardship of God’s grace that was given to me for your benefit, namely, that the mystery was made known to me by revelation. It was not made known to people in other generations as it has now been revealed to his holy apostles and prophets by the Spirit: that the Gentiles are coheirs, members of the same body, and copartners in the promise in Christ Jesus through the gospel. When Jesus was born in Bethlehem of Judea, in the days of King Herod, behold, magi from the east arrived in Jerusalem, saying, “Where is the newborn king of the Jews? We saw his star at its rising and have come to do him homage.” When King Herod heard this, he was greatly troubled, and all Jerusalem with him. Assembling all the chief priests and the scribes of the people, He inquired of them where the Christ was to be born. They said to him, “In Bethlehem of Judea, for thus it has been written through the prophet: And you, Bethlehem, land of Judah, are by no means least among the rulers of Judah; since from you shall come a ruler, who is to shepherd my people Israel.” Then Herod called the magi secretly and ascertained from them the time of the star’s appearance. He sent them to Bethlehem and said, “Go and search diligently for the child. When you have found him, bring me word, that I too may go and do him homage.” After their audience with the king they set out. And behold, the star that they had seen at its rising preceded them, until it came and stopped over the place where the child was. They were overjoyed at seeing the star, and on entering the house they saw the child with Mary his mother. They prostrated themselves and did him homage. Then they opened their treasures and offered him gifts of gold, frankincense, and myrrh. And having been warned in a dream not to return to Herod, they departed for their country by another way. Maligayang kapistahan po ng Epiphany. Alam nyo itong EDSA Shrine.....Bakit nga EDSA pala? Epifanio de los Santos. Ano ho ba ang kahulugan ng Epifanio? Epiphany came from the Greek word which means 'showing' or 'manifestation'. Epiphany also means revelation. Thus, EDSA or Epifanio de los Santos literally means 'epiphany of the saints'. Kaya ang Feast of the Epiphany ngayon ay parang kapistahan din po ng EDSA. Ang kahulugan po ng Epiphany ay ito po. Jesus was born in Bethlehem, during the days of Herod, the King of Judea of Israel. Galit na galit si King Herod at gusto niya talagang ipapatay si Hesus, kasi nabalitaan niya 'there will be a new King of the Jews'. Sabi niya, 'I am the King of Jews. Paano'ng magkakaroon ng another King?' King Herod was greatly troubled that he called all his chief priests to ask where this child will be born. Ang mga haring gustong pumunta para mag-pay homage sa batang ito, hinarang niya. Niloko pa niya ang tatlong hari at sabi niya, 'Tell me if you have found this child, so I can also pay homage to him.' But Herod wanted to know all the details about this child, so that he can kill him. That is King Herod. But what happened? 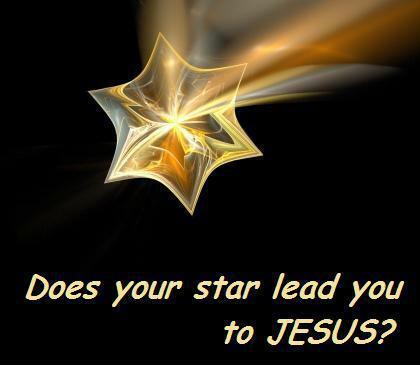 A star led the three kings or the three magi until it stopped over the place where the child Jesus was born. 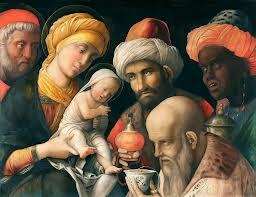 The three magi then saw the child Jesus with Joseph and Mary, His mother. Ang ganda nito. They adored the Lord Jesus and paid Him homage. They gave Him treasures. Gifts of gold, meaning this Child is King. Gift of frankincense, which is a sign of worhsip, which means this Child is a Son of God. And the gift of myhrr, which means that this Child will one day die, as myhrr is the oil used when somebody dies. What does Epiphany mean? Why do we celebrate this? The feast of the Epiphany is a reminder for us that Jesus is the Messiah. Jesus is the Son of God, Jesus is the Savior of the world. The feast of the Epiphany celebrates the adoration of the Child Jesus by the three wise men from the East. The three magi are the representatives of all the pagan religions all over the world who, one day, would come to adore the Child Jesus. These three magi welcomed the good news of salvation through the incarnation of Jesus. The feast of the Epiphany celebrates the first presentation of the newly born Savior of the world. The Child Jesus is revealed to all of us; the Child Jesus is meant for all of us. Christ came to give us Light. Only Christ can dispel the darkness which envelopes us. In order to dispel the darkness in our life, Christ must enter our soul. We are also the revelation of God, if we are united with Christ, if we receive Christ in our hearts. It is because man is also created in the image of God. What will destroy this image of God in man? Sin. Kasalanan. Sin marred the image of man, but Christ came to restore man. Christ helped us to discover the brightness of this image. And God is revealed in Christ's plan of salvation and showed Christ as the Light of all peoples. Now that His glory is shown among us, God has renewed humanity in his immortal image. This is our First Reading for the day, from the prophet Isaiah. "The Lord will rise upon you, and His glory will appear over you. Nations shall come to Your light, and kings to the brightness of the dawn." Today, we celebrate God's plan of salvation. Our Lord Jesus Christ came to save us. Our Lord Jesus Christ came us our King, the King of all nations. Jesus is the Son of God. Jesus is Our Lord God and Savior, the Savior of the world. This is the essence of the Epiphany. That is why alam po ninyo, during the Simbang Gabi, I was very much struck by the image of the parol. Nasa Baguio po ako, I was invited by the Pink Sisters to celebrate Simbang Gabi at the Pink Sisters Convent. I also had a very meaningful Advent Season. Alam nyo po 'yong Catholic Bishops' Commission on Family and Life, si Bishop Gabby Reyes, he asked the help of San Carlos seminarians...kami po ay parating prayer warriors, tagadasal po. And we are also asked to help to serve as marshalls. 'Yong mga marshalls, sila po 'yong mga guardian angels doon po sa Batasan. Ako po ang laging na-a-assign doon, 'ikaw ang sumama diyan'. Practically, we have been there since December 4, December 9, December 11, nakapasok kami sa loob ng Batasan, December 12, nandoon po kami, and on the last day of the voting on the RH Bill, December 17, nandoon po kami. Nakaka-antig po ng damdamin. Totoo po ang nababasa natin sa Internet. We have to see it for ourselves, to see what is really happening inside. Whenever I go there, talaga pong puro dasal po kami, to be honest po ano. I pray the rosary with this rosary po - ito po ang hinawakan ng Tatay ko last year when he died. I am always praying the rosary for our Congressmen, and prayed that the light of God, the light of Christ may shine upon them during their deliberation. December 11 nagtataka ako. Bakit kaya ganito? Amendment ang pinag-uusapan. Life begins at conception, ayaw tanggapin. Nagpupukpukan na. And then pag tayo na ang nagsasalita, namamatay ang sound system. Akala ko ako lang ang nakakapansin. Sabi ko, pati ba naman sa Congress nagkakaroon sila ng cheating sa 'aye' tsaka 'naye'? I was praying, tahimik pa rin po ako. Lord, bakit po ganito? At a certain point I stopped. I remembered San Lorenzo Ruiz. On October 21, I cried at the Vatican when San Pedro Calungsod was canonized. I said, "Jesus, thank you for making me a Filipino. Thank you for making me a Catholic." Umiyak ako. But inside that Congress, when I saw what was happening inside, I almost cried. Sabi ko, ito na ba ang ating bansa? Ito ang sinasabi ko sa inyo. The light of Christ has come. Dumating ang liwanag ni Kristo. As St. Thomas Aquinas said, "God must have no substitute in your life. God must have the first place in your life." And St. Ignatius de Loyola said, 'God must be the first principle and foundation of your life. God must be the one treasure of your life." But as St. Thomas Aquinas said, there are four substitutes for God. Mayroon daw pong apat na bagay na pinapalitan natin ang Diyos. The first is wealth. Kayamanan. Wealth is very tempting. It is sad when some of us, even some of our legislators, choose wealth over God. Origally, there were 155 anti-RH Law legislators, but throughout the journey, before December 17, nagbago ang karamihan. Maraming mga congressman ang umiiyak at humihingi ng patawad ngayon, kasi alam nilang they did not vote out of conscience, not out of principle. The second substitute for God is pleasure. It is sad that pleasure has substituted God in the light of discipline, in the light of love and sacrifice. We are called into a life of love, and not of pleasure and desires. We should do, not what is pleasurable, but what is right and what is God's will. What are we looking for? Is Jesus really the King of my life? Is Jesus the God of my life? Is Jesus really the fulfillment of all my desires in life? Am I really choosing Jesus? Do I want to study the teachings of Jesus' Gospel of love and life? Purity, 'yon po ang laging isipin natin. We are called to live a life of purity, of chastity. Kalinisan. We have to have the courage to be faithful, to be true, to be pure, in the context of responsible love, in the context of the sacredness of human life. The third substitute is power. Marami pong nasisira sa power. Nagsisimula mabait, pero pag may kapangyarihan na, power corrupts. We have seen the abuse of power. As Christians, we are called to a life of humble service. Maglingkod po tayo. Let us choose the path of humility. Let us choose the path of Jesus Christ with humility and total abandonment. Let us remember the path of the Child Jesus - the path of trust, confidence and humble service, especially to the poor. Lastly, the fourth substitute for God is honor. In the Scriptures, Satan tempted Jesus when he said, "Honor me and I will give you all the kingdoms of the world." But Jesus said, "You shall honor the Lord Your God alone. You must worship God alone." It is sad that people refuse to believe in God, because they choose to honor themselves. Nowadays, we see a lot of forms of self-redemption, and people substituting God in their reasoning. My brothers and sisters, we should worship God alone. We should accept Jesus as the Lord and Savior of our life, as the King of our hearts. At the very center of our being, nariyan pa ba ang Diyos? Ginagalang ba natin at tinatanggap ang Diyos bilang ating Panginoon at Tagapagligtas ng ating buhay? Siya pa ba ang ating kayamanan? The Angel taught this prayer to the three children at Fatima : "Oh my God, I adore You, I believe in You, I hope in You, and I love You." "And we ask forgiveness, O God, for those who do not adore You, for those who do not believe in You, for those who do not hope in You, and for those who do not love You." This is the challenge for us. We must place God at the very center of our hearts. As Pope Benedict XVI told us during Christmas, "Make room for God in your life." Magbigay po tayo ng puwang para sa Diyos. Ilagay natin ang Diyos sa ating puso. Ilagay natin ang Diyos sa ating pamilya. Ilagay natin ang Diyos sa ating lipunan, sa ating bansa. Nawa'y si Hesus ay patuloy na maghari sa ating bansa. Jesus is our Lord and Savior. Nawa'y patuloy tayong lumapit kay Hesus na ating Panginoon at Tagapagligtas. Happy Epiphany. May Christ's light dispel the darkness in our hearts. Amen.